July 2017 Employees of the Month! We asked Adrian to answer a few questions about YES. Here's what he told us. 1. How did you find out about YES? My friend Anthony Brock referred me to your staffing agency. 2. Whats been your favorite job through YES? Picking. The people I work with are amazing. 3. What do you think would make YES better? It's perfect the way it is. 4. What would you tell someone looking into working with YES? Get ready for a great time! Adrian was awarded a thank-you certificate and YES hat for his great work. 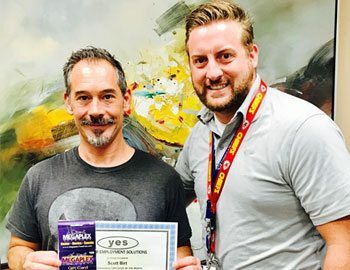 Thanks again Adrian for being a part of the hard-working Salt Lake City, Utah staffing team at Your Employment Solutions! We asked Scott to answer a few questions about YES. Here's what he told us. 1. How did you find out about YES? I found your staffing agency through a friend. 2. Whats been your favorite job through YES? TThis one! It’s been my only one, but it’s been great! 3. What do you think would make YES better? Nothing really, it’s been a great experience! Never had any issues. 4. What would you tell someone looking into working with YES? Same as #3. Highly recommend it!! Scott was awarded a thank-you certificate and YES shirt for his great work. Thanks again Scott for being a part of the hard-working Ogden, Utah staffing team at Your Employment Solutions! Gelacio was awarded a thank-you certificate and YES shirt for his great work. 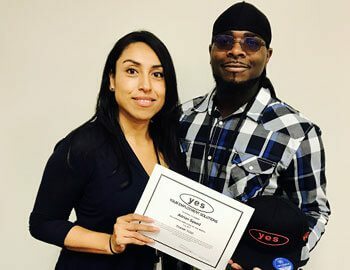 Thanks again Gelacio for being a part of the hard-working West Valley City, Utah staffing team at Your Employment Solutions! Teryl was awarded a thank you certificate and YES shirt for his great work. 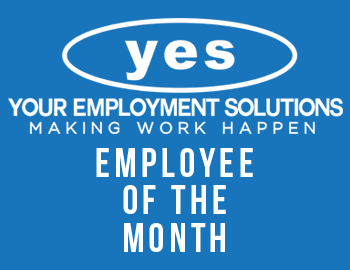 Thanks again Teryl for being a part of the hard-working Logan, Utah staffing team at Your Employment Solutions!